Humble Medical Office was completed in September 2012 after the construction of Humble Surgical Hospital. When the hospital was originally conceived, the team of physicians looked for a local development partner with not only medical development expertise, but also the ability and reputation in the marketplace to get similar projects completed. Very quickly, they found that partner at PinPoint Commercial. Thanks to the success of the Hospital, PinPoint Commercial was selected to develop phase two of construction. Physicians occupy the majority of the building, including primary care, ENT, emergency medicine, OBGYN, physical therapy, and cardiology caregivers. Administrative space is also available for the Humble Surgical Hospital. 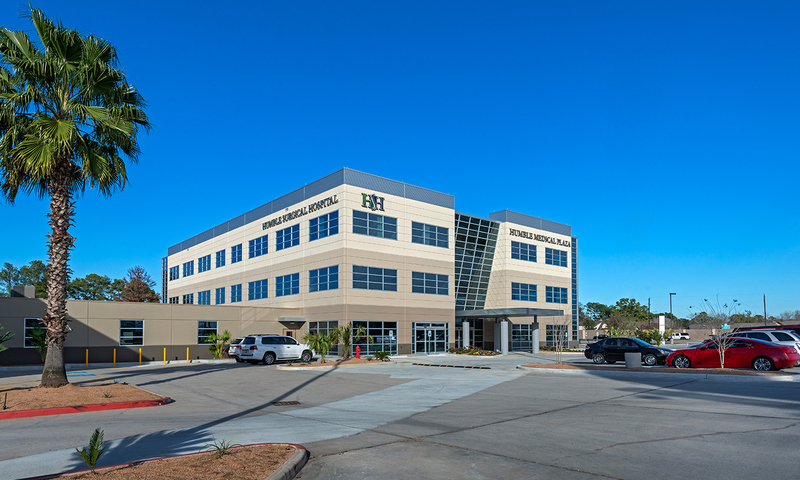 The 46,000 square foot, three-story building incorporates cutting-edge technology, including electronic medical records, and full-system integration with the hospital.